The Iranian Intelligence Ministry has released the names of and other information about the five Takfiri Daesh terrorists who carried out twin attacks in the Iranian capital city of Tehran on Wednesday. The Intelligence Ministry on Thursday released a statement detailing information on the five terrorists and “affiliated nuclei,” whose full identities it said had been determined after intelligence work by the Ministry. On Wednesday, gunmen stormed Iran’s Parliament (Majlis) and the Mausoleum of the late founder of the Islamic Republic, Imam Khomeini, in two coordinated attacks. At least 17 people lost their lives and nearly 50 others were wounded in the assaults, which involved shootings and blasts. Daesh claimed responsibility for the attacks. According to the Intelligence Ministry’s Thursday statement, the individuals involved in carrying out the attacks were five elements with a history of past terrorist activities and linked to Wahhabi and Takfiri groups. 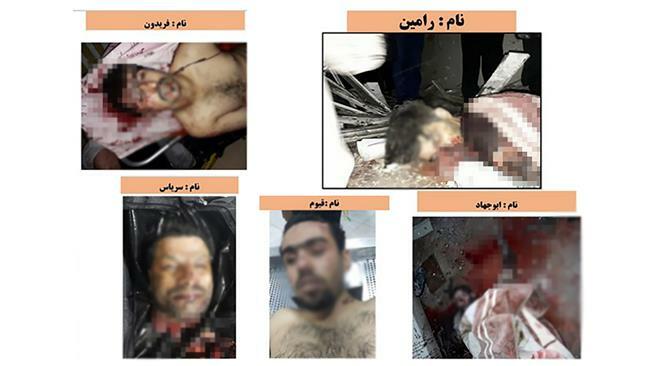 They were identified as Seriyas, Fereydoun, Qayyoum, Abu Jahad, and Ramin. The statement said that the five had left Iran after being recruited by the Takfiri Daesh terrorist group and had participated in the group’s atrocities in the Iraqi city of Mosul and the Syrian city of Raqqah. Wahhabi terrorist groups are closely associated with Saudi Arabia, where government-sanctioned clerics preach the strongly intolerant pseudo-ideology of Wahhabism. Earlier on Thursday, Iranian Intelligence Minister Mahmoud Alavi said that it was still soon to judge whether Saudi Arabia had had a role in the attacks in Tehran. Earlier in May, the Saudi defense minister, Mohammed bin Salman, had threatened in opaque remarks to move “the battle” to Iran. While Iranian people have been mourning the victims of the terrorist attacks, there has also been a strengthened sense of unity among them. Leader of the Islamic Revolution Ayatollah Seyyed Ali Khamenei said on Wednesday that the terror attacks in Tehran could not undermine the Iranian nation’s resolve in the face of threats. Iranian President Hassan Rouhani also condemned the attacks as “cowardly,” stressing that the country would crush enemy plots through unity and solidarity. The attacks also drew strong international condemnation, with many heads of states extending condolences to the Iranian nation and government. Iran’s Islamic Revolution Guards Corps (IRGC) blamed the sponsors of the Takfiri Daesh for the attacks and pledged to retaliate.